Collect-IT is accounts receivable and credit collections management software that is designed to answer, “Where is my money?” It does this by working hand-in-hand with Sage 100 (formerly MAS 90) to track all the accounts receivable information that could otherwise fall through the cracks. “Is ABC Company paying on time? If not, when did they say they would pay? When you use Collect-IT with Sage 100, your accounts receivable process becomes "Cool, Calm and Collected." ​Home Screen: this powerful dashboard helps accounts receivable and credit collections professionals minimize the number of accounts that enter bad debt status and improve the DSO (days sales outstanding). Task & List Calendar: Working the data already in your Sage 100 system, Collect-IT minimizes time spent collecting overdue invoices through programmed email messages, detailed task lists, and an up-to-date calendar. Portfolio: Collect-IT provides collectors and managers with convenient portfolio views by customer, collector, status or task. 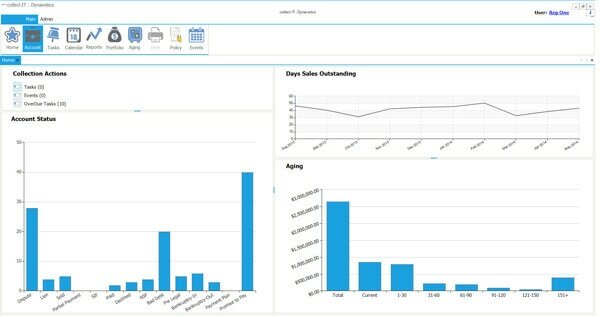 Aging: The audit trail for activities offers real-time collections activity tracking, and custom aging brackets conveniently group customers based on the amount of days invoices are past due. Custom Collection Strategies: The customizable collections strategies feature collection action statuses, performance tracking, and on-demand call list development. 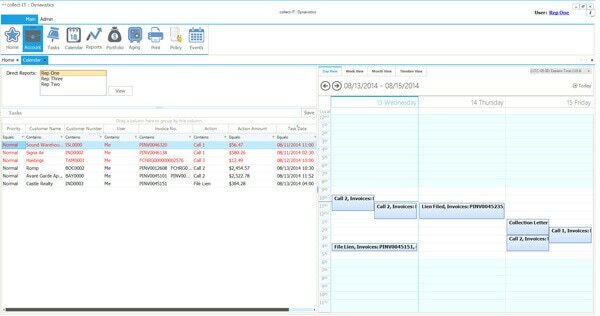 Action Manager: The action manager offers visibility of the programmed actions available through collect-IT. From reminder letters to collection letters, here you’ll have access to all the actions you need to assist with accounts receivable collection. Collect-IT is developed and supported by Dynavistics, Inc.
Our innovative software solutions provide relief to common business frustrations, helping you to run your company more effectively and get paid faster.